tetraface Inc. - Development and sales for softwares to make 3D data. 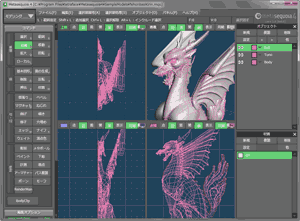 the 3D modeling software, 'Metasequoia'. 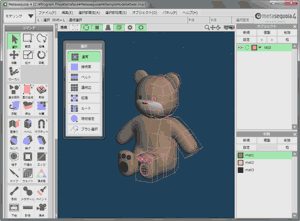 Metasequoia is the 3D modeling software to edit 3D data for graphic design or 3D printing, etc. Please send a e-mail to the following address, inquiring about our company or products. Inquiring about purchasing our products 'Metasequoia 4' License is send to the following. *E-mail services of Microsoft, Hotmail or Outlook or Live Mail, cannot receive e-mail from us. If your e-mail address is one of them, please use other e-mail service. Please post to the following BBS for questions to 'Metasequoia'.